Being so close to all the attractions makes The Historic Olive Hotel an attraction in itself. The hotel is located in downtown Miles City within walking distance to Range Riders Museum, Bert Clark Gun Collection, Custer County Art Center, fishing, swimming, golfing, tennis, and great shopping. The 1899 Olive Hotel features a unique lobby, Gus McCrae's room, J. K. Ralston's After the Battle in the lounge, and Olive Dining Room. Locally owned. 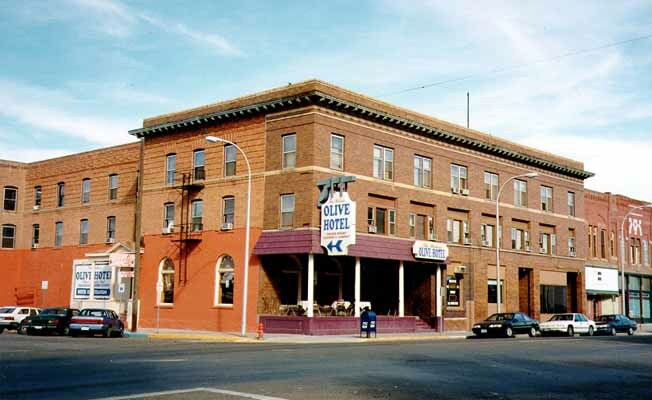 Historic Olive Hotel is located in downtown Miles City.Historic Olive Hotel is located in downtown Miles City.